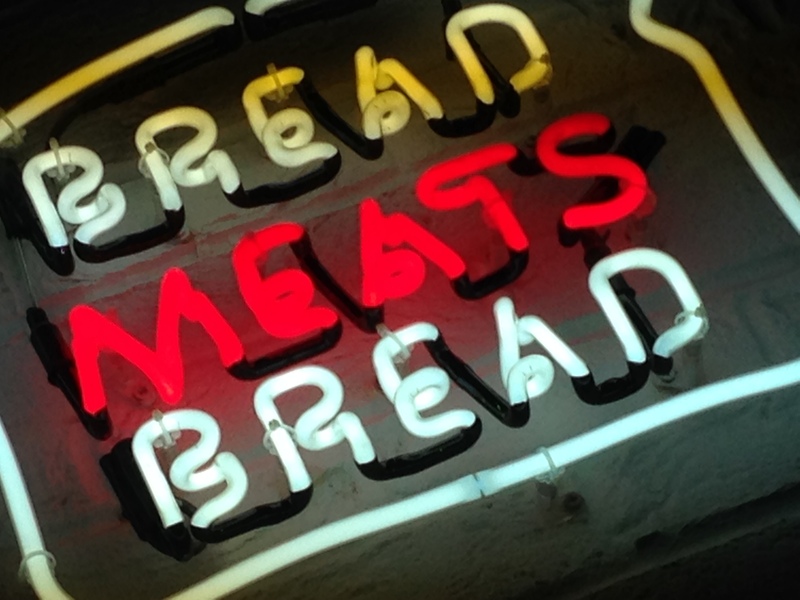 Before we dive in to talk about Bread Meats Bread, we should probably clear up one thing first. 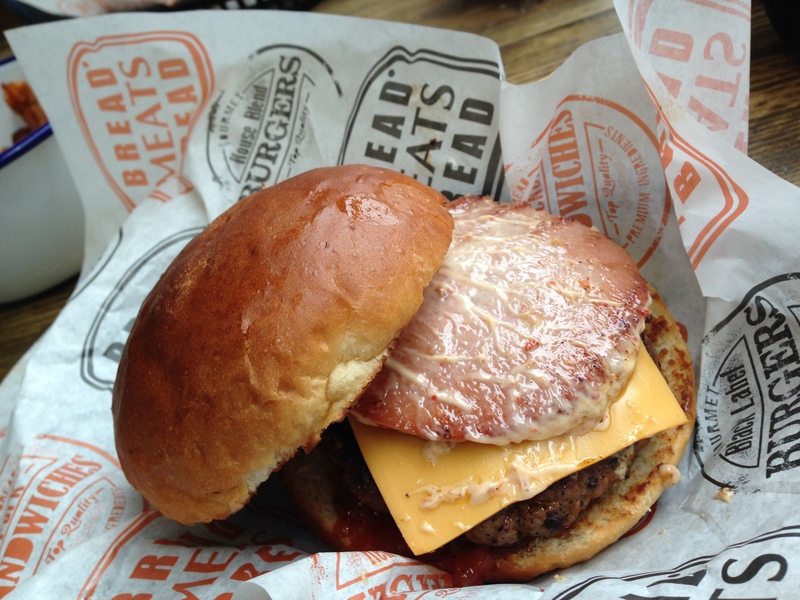 If you’re wondering whether Glasgow’s latest American-style burger & barbecue joint bears any relation to the nearby ‘Burger Meats Bun’ then you should know that it doesn’t. Despite lots of social media chatter regarding who named their restaurant first or whether one is copying the other, it would appear to be purely coincidental that both places sound quite similar. In addition to this, you probably shouldn’t care that both have similar names because, in the end, it all comes down to the food and that’s what will or will not ultimately leave a lasting impression. We had heard rumblings of ‘best burger ever‘ and ‘oh my god, amazing!‘ on social media following the restaurant’s launch night; which we didn’t attend. We decided to head along a few days later to sample the food for ourselves. As we walked in, first impressions were good. We arrived around 12.45pm, the place was packed and there was a nice buzz in the air. I immediately spotted the open kitchen and was able to see the chefs working away as the smells of beef, onions and spices drifted around the restaurant. I loved the look and feel of the restaurant too with the large worn and rustic tables along with the floor to ceiling windows. They’ve certainly nailed a look that will attract hungry shoppings and passing office workers. We were able to grab a table by the window and lost count of how many people were stopping, pointing and walking over to the door for a closer inspection. In terms of appearance and atmosphere, everything was pretty much spot on. We ordered a few drinks, which were served in branded plastic BMB cups and had a look over the menu. The burger menu is made up of three sections – house blend, red label and black label, with the red and black label offerings being made from more premium cuts of meat. There’s a few other options available too such as a couple of hot-dogs, sandwiches and various sides. I noticed on the menu that several items had stickers placed next to them to indicate that they weren’t available at that time such as the poutine and the ice cream selection. I decided to go for the ‘fullhouse’ burger, but was quickly informed that there was no pastrami or brisket available either. I was told I could have the fullhouse without the brisket, but what would be the point in that? We decided to go for the black label ‘classic black’ and the ‘Scotalian’ instead. 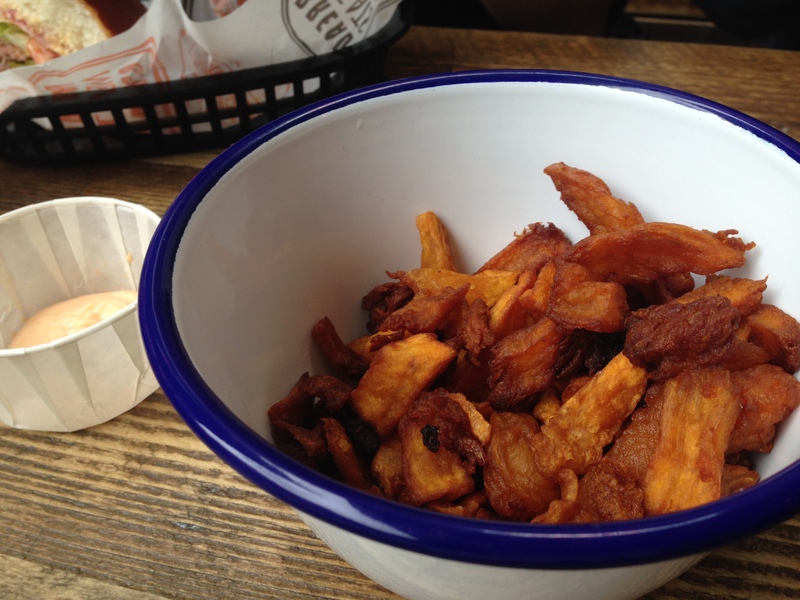 We had a look at the various sides available and much to our delight, sweet potato fries were on the menu and were ordered without a moment’s hesitation. When the burgers arrived, I couldn’t help but notice that I appeared to have been given the classic burger, as opposed to the black label classic burger. 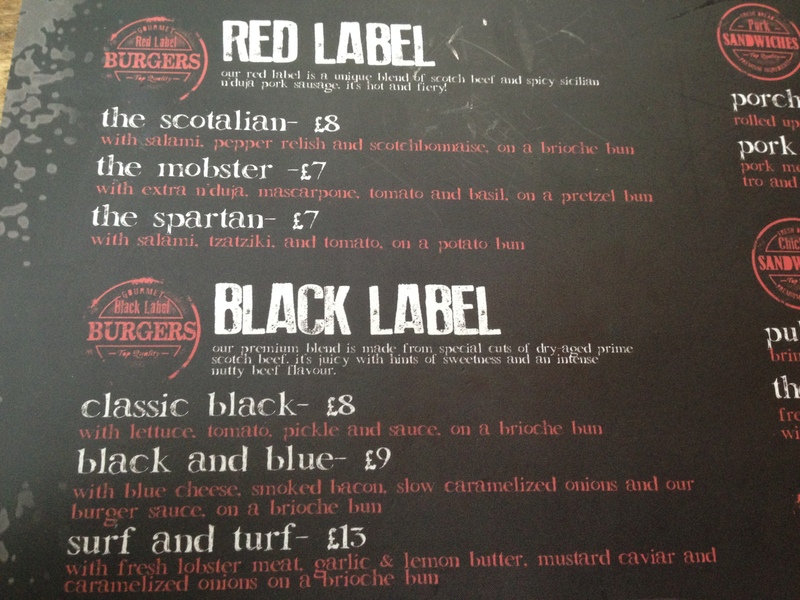 Both burgers are identical in terms of toppings; however, the black label is supposed to be served with a slightly more ‘premium’ patty. When the staff member brought my burger, he said ‘here’s your classic burger’ and from the look of the thin, smashed-style patty, I couldn’t tell which classic I’d actually been given. 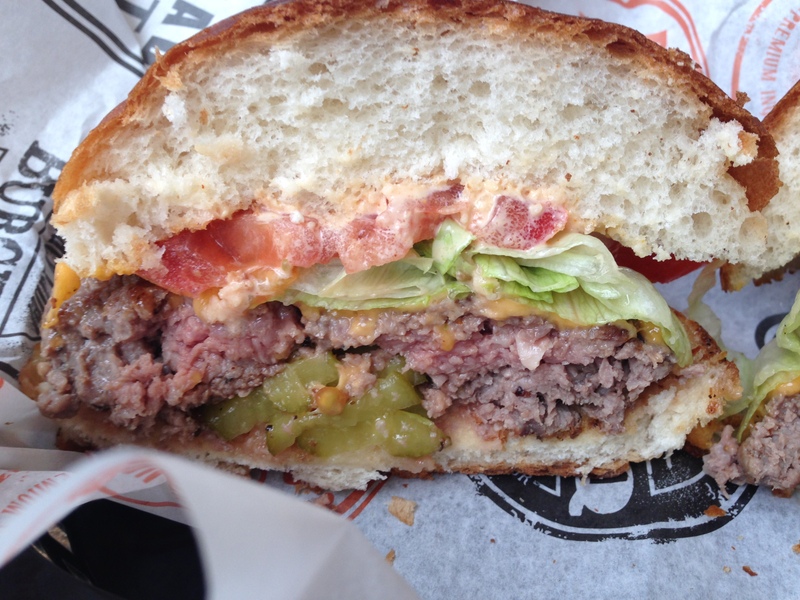 I expected the black label patty to be…bigger. Perhaps I was given the wrong one? Having seen a couple of photos of other people’s ‘classic black’, it would appear that there was perhaps a misunderstanding when ordering. Regardless, this was a very good burger. 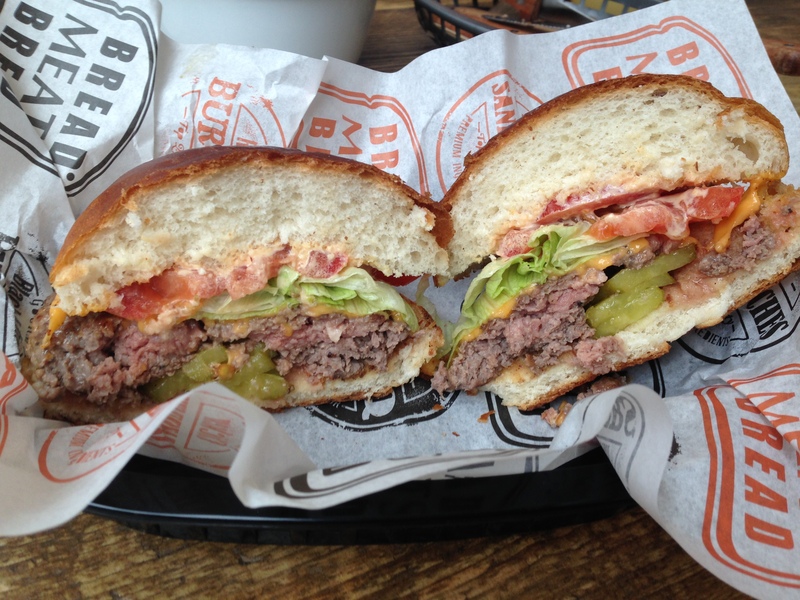 It consisted of a beef patty topped with lettuce, tomato, gherkin and burger sauce on a toasted brioche. I also added cheese for an extra £1. 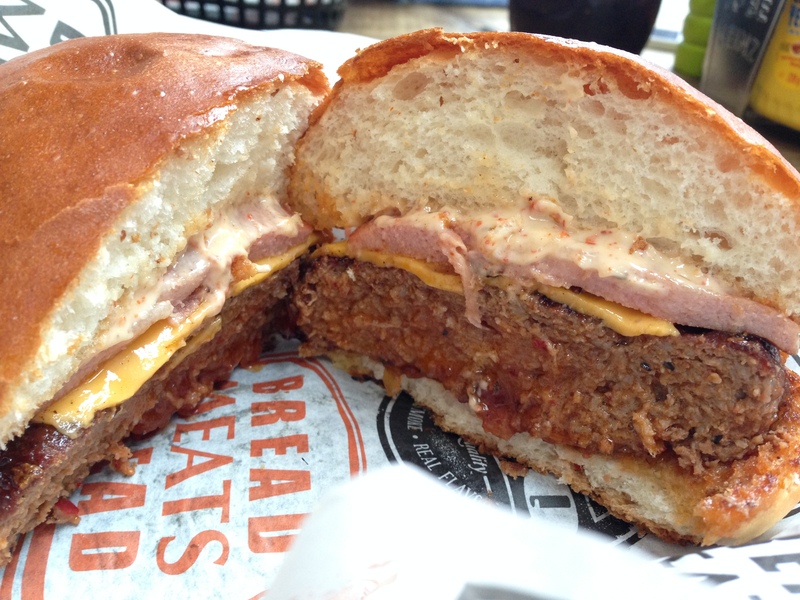 The patty was succulent, well-cooked with hints of pink throughout and was quite juicy. The meat was nicely seasoned without overcomplicating things. The gherkins, mustard, burger sauce, salad and cheese gave it a familiar fast-food taste, but a much higher quality that you’d expect from a Mc-high street burger shop. The bun was also excellent, very light and not overly-stodgy. It didn’t fall apart either, which was also a bonus! This was a really solid, simple burger and left me wanting to try more. Maybe even the black label next time! The classic burger looked good too. Vibrant colours that popped from the bun and a heap of deliciously near-liquidised American cheese brought back memories of devouring my first Shake Shack burger in New York City. Next-up was the rather oddly-titled ‘Scotalian’ burger, which consisted of a red label patty topped with salami, pepper relish and ‘Scotchbonnaise’ on a brioche bun. Again, we decided to add cheese for an extra £1. The first thing I noticed about this burger was just how much bigger the patty was to the classic, house-blend patty that we’d just eaten. The menu also described this burger has being topped with salami; however, the meat that came on the burger; in my opinion, didn’t look or taste anything like it. In fact, it actually resembled a mini gammon-round or some kind of bacon medallion than salami – both in terms of look and taste. The cheese that we had asked for also wasn’t melted and seemed to have just been slapped on top of the patty. In terms of taste, the patty was decent. The mix of spicy pork sausage and scotch beef resulted in a smokey, peppery finish that really worked well with the ‘Scotchbonnaise’, which also had me reaching for my drink as the rest of the table laughed at me for being such a wimp! Whilst I found the patty to be fairly juicy and despite being the seemingly-better ‘red label’ blend, I still preferred the house blend from the classic burger by far, which left more of a lasting impression than this one did. Again, the bun was nicely toasted and was very light. The bottom did start to give out halfway through this one; however, the patty was much bigger than the one that made up the first burger. 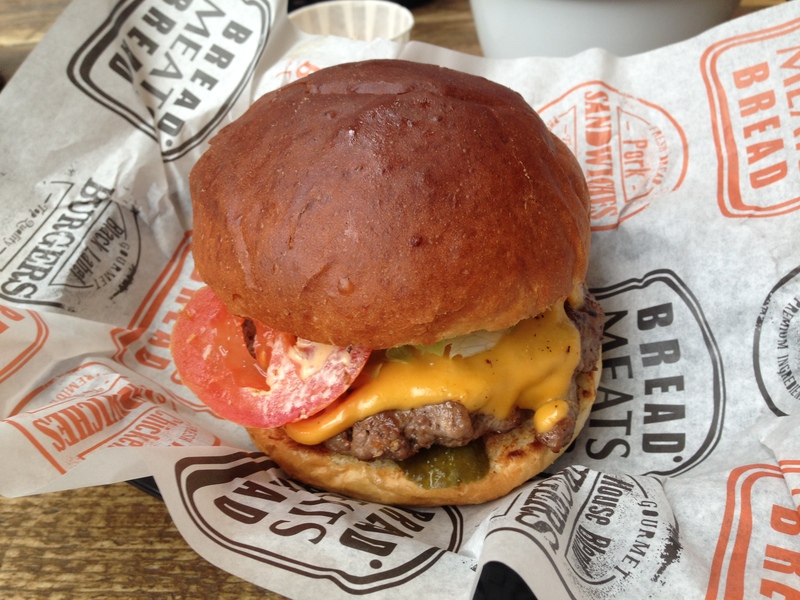 Despite a well-seasoned, tasty blend of meat, the classic burger was easily my favourite of the two on offer. As for the sweet potato fries, our whole table found these to be extremely disappointing. Any regular JvB readers will know that I absolutely love sweet potato fries and would order them at any given opportunity; however, these were quite simply terrible. Small and overcooked to the point of being almost chewy, they tasted like they had been coated in oil and then baked in the oven. They were sticky, chewy and not good at all. Disappointingly, this is the only time I can ever recall not enjoying a plate of sweet potato fries. We didn’t try the regular fries, so can’t comment on those unfortunately. The thai chilli dip that was served with them was great, but wasn’t enough to hide the fact that these fries were awful. 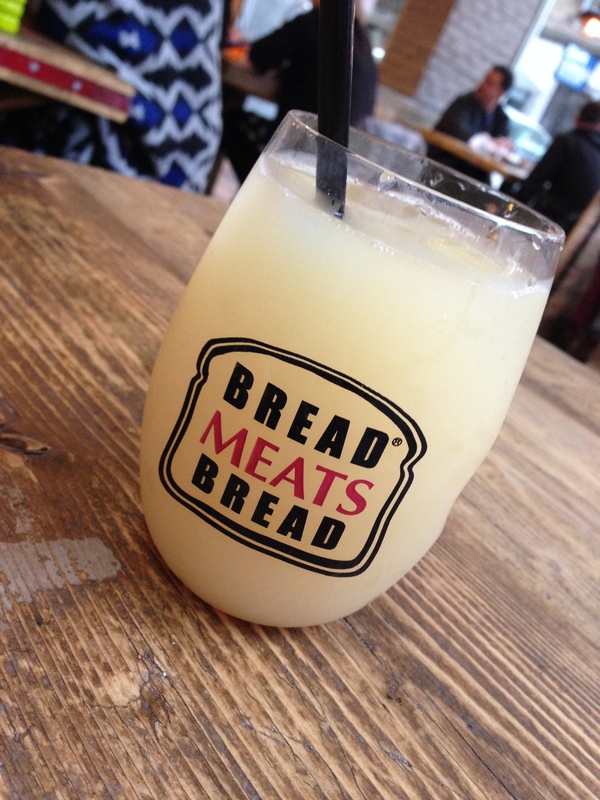 Despite a less than perfect first visit, I’m looking forward to returning to Bread Meats Bread once they’ve been opened a while to see how things are progressing. The classic burger was excellent and a prime example of what a simple, straight-forward cheeseburger should be, even if it wasn’t what I ordered and the red label blend also left me wanting more. The fact that there were so many things on the menu that were unavailable didn’t give off the best first impression and those sweet potato fries were truly abysmal. The restaurant; however, looks fantastic and we lost count of how many heads were turning as they walked past. 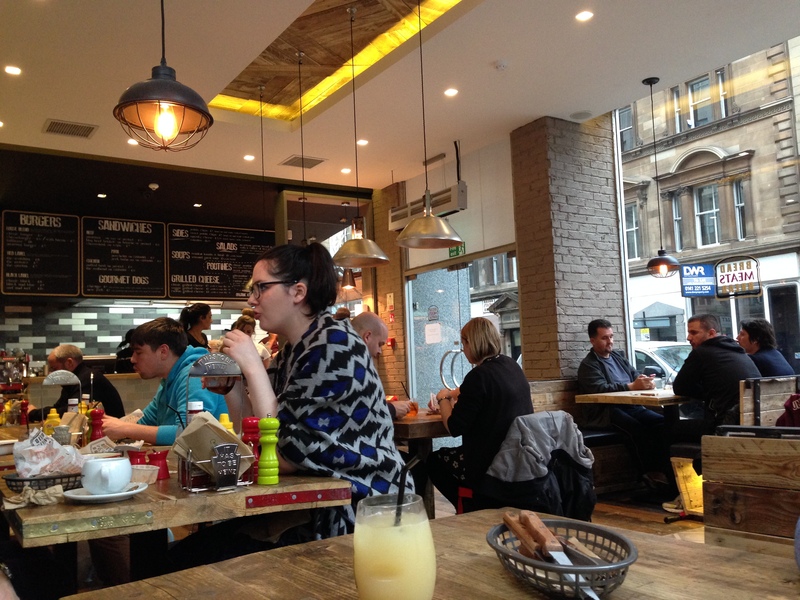 We’re excited to have another independent American barbecue joint in such a prime location in Glasgow and we’re sure that once the initial kinks are ironed out, Bread Meats Bread will be feeding hungry Glaswegians for years to come. + Light, airy bun – not overly stodgy. + Lots of menu options. – Burger; while very good, wasn’t what I ordered. 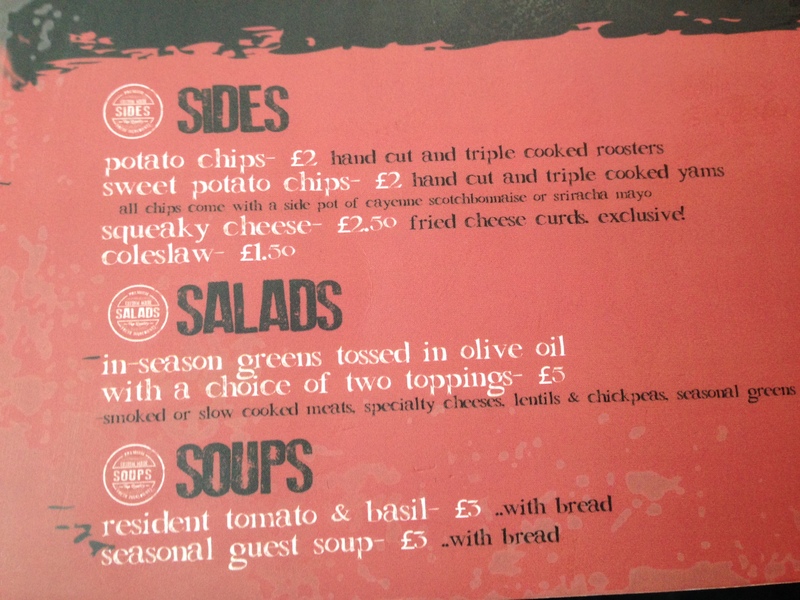 – Quite a lot of menu items not available – this should be remedied by the time you read this, however. – Terrible sweet potato fries. We (three) were at the ‘bar’ right in the corner looking out at the junction of hope street, girl with purpleish hair and girl with red hair were with me? Hi James! Could you possibly amend the phone number on this review as it’s The Two Figs number and not Burger Meats Bun, our staff were mighty confused about all the phone calls concerning braised beef brisket. Thanks! 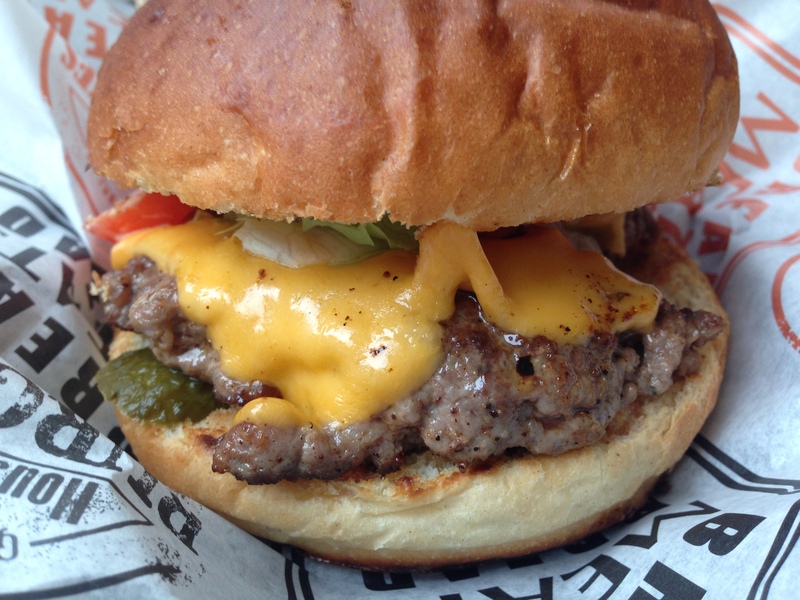 p.s our bun is usually toasted and our burger cucumber free! it was a new chef learning the ropes.. 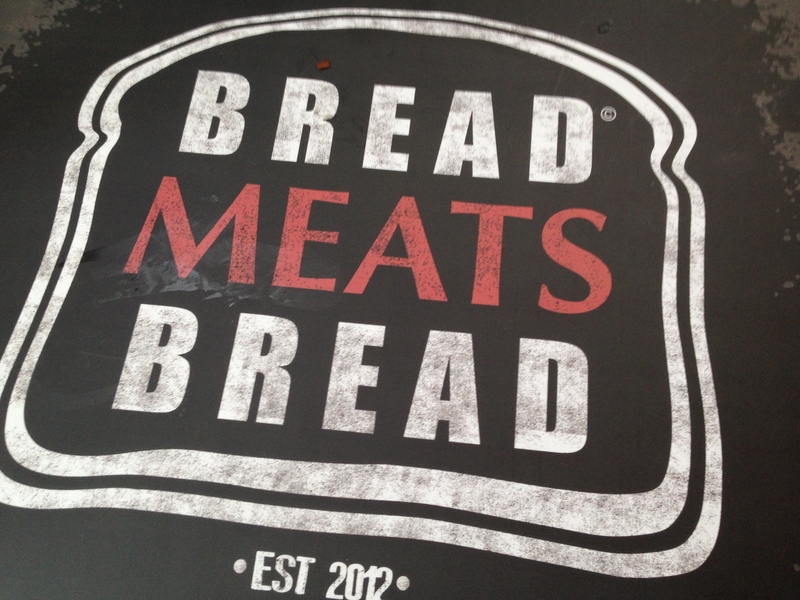 Went for a late lunch to Bread Meats Bread on Friday 8th Nov. What a massive disappointment. No Putine. No Brisket. No Lobster (for the surf n turf) Coke was lacking syrup. They messed up the orders (forgot the coleslaw side, but still charged for it), really mushy sweet potato fries and the standard fries tasted of old oil….plus over cooked (grey) burgers. Good concept, done badly. 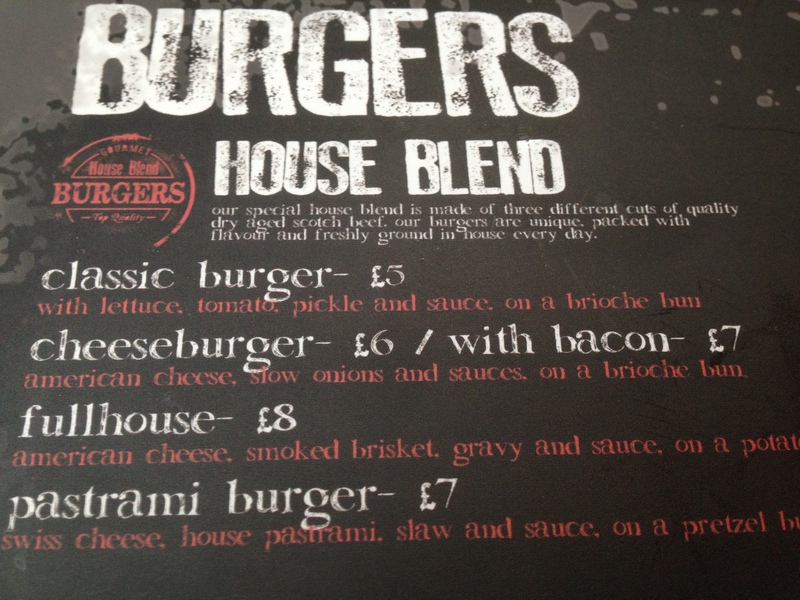 Lots of scope for a reasonable ‘no frills burger joint’ but they’ve really missed a trick here. Will not be going back in a hurry. Excellent day! I could possibly have vouched I’ve been to this internet site before but after checking out through a couple of the post I discovered it is actually brand-new to me. Anyhow, I’m absolutely pleased I discovered this and also I’ll be actually book-marking as well as checking back regularly!